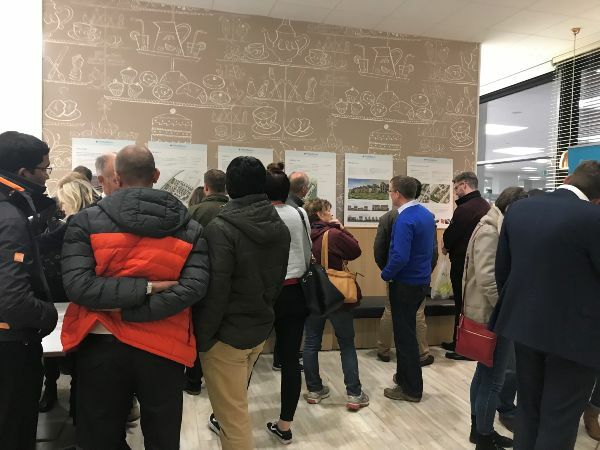 Over 100 people visited the Waitrose cafe yesterday afternoon to view the plans for the first housing parcels in Canalside to be delivered by the Wichelstowe Joint Venture. This was a great opportunity to talk through the housing plans with both those considering buying properties and local residents who were interested in the development taking place in the area. If you didn't get a chance to visit the exhibition or would like another look at the boards they can be found here. Any feedback on the proposals can be e-mailed to the Wichelstowe team at wichelstowe@swindon.gov.uk. It is anticipated that a detailed planning application will be submitted in November 2018.